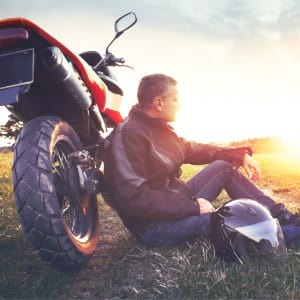 Get benefits that are unmatched in the industry and offered at highly competitive rates for your motorcycle or roadster. For example, our motorcycle insurance includes free roadside assistance and $5,000 of coverage for equipment and accessories. 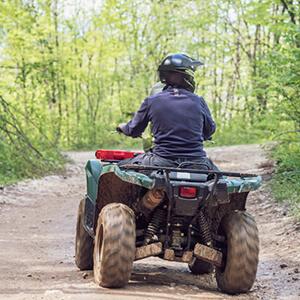 Whether you own an ATV or a side by side, enjoy your favourite pastime without worries, thanks to the free benefits included with our coverage. For example, enjoy $2,000 of coverage for equipment and accessories. Benefit from coverage tailored to your needs and to the type of watercraft you own. Our watercraft insurance includes coverage for your electronic equipment, personal property, health expenses and many more, at no extra charge. You can also spread your premium payments with no interest or service charges! Save big and get benefits for your motorhome! We include free and complete roadside assistance, available anywhere in Canada and the United States, and $8,000 of free coverage for personal property inside your RV or on site. Our tailor-made coverages for trailers will let you enjoy the great outdoors and your campfires worry-free. Benefit from free and complete roadside assistance, available anywhere in Canada and the United States, and from $8,000 of free coverage for personal property inside your RV or on site. Do you own a trailer that stays at the same place throughout the year, essentially on a campground? Stationary trailer insurance with La Capitale is for you! Enjoy year-round coverage for your RV and permanent fixtures, even when you aren't on the campground. 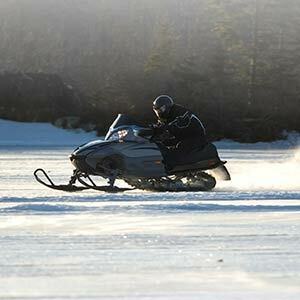 Take advantage of our insurance specifically designed for snowmobile enthusiasts. 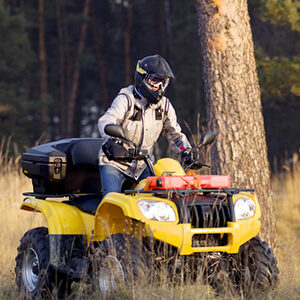 We are offering you more for your money, with $2,000 of coverage for equipment and accessories, free of charge.